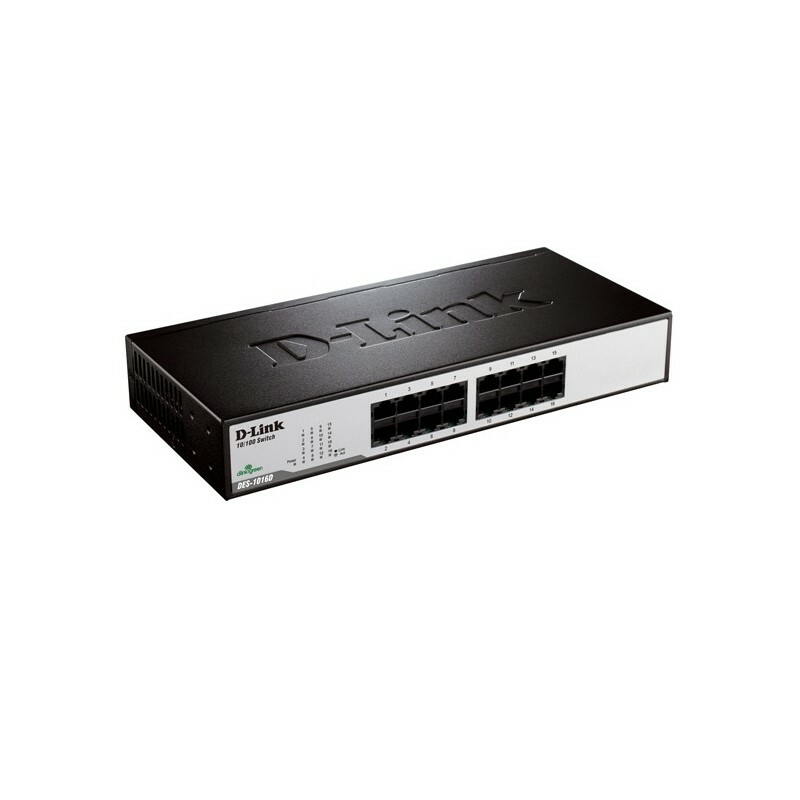 The DES-1016D is an unmanaged 10/100Mbps switch designed to enhance workgroup performance while providing a high level of flexibility. Powerful yet easy to use, this device allows users to simply plug any port to either a 10Mbps or 100Mbps network to multiply bandwidths, boost response time and satisfy heavy load demands. 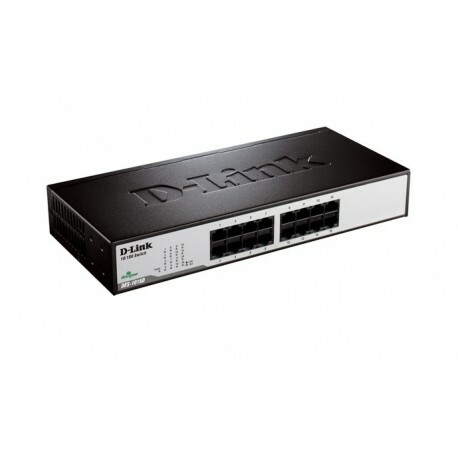 The switch comes with 16 10/100Mbps ports, allowing a small workgroup to flexibly integrate to Ethernet and Fast Ethernet. 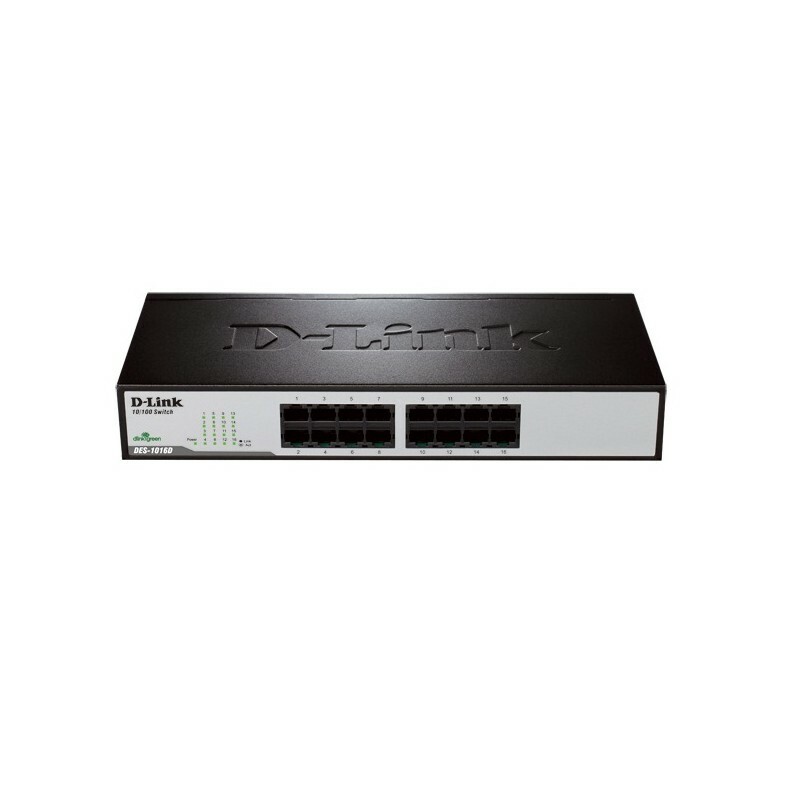 These intelligent ports detect the network speed and auto-negotiate between 100BASE-TX and 10BASE-T, as well as between full and half-duplex. All ports support flow control. This function minimizes dropped packets by sending out collision signals when the ports receiving buffer is full. With 16 plug-and-play ports, the switch is a perfect choice for workgroups to upgrade performance in a client/server environment. The ports can be connected to servers in fullduplex, or hubs in half-duplex. With low-cost connection per-port, the switch can be set up for direct connection from the PCs. This relieves data bottleneck by giving each workstation a dedicated bandwidth on the network.